Office screen accessories are created to enhance the usage of our partition screens and products. This means that if you have a specific requirement by where a screen needs to be installed with specific feet so as not to jeopardise the flooring, then we can provide the necessary accessory to accompany our screens. 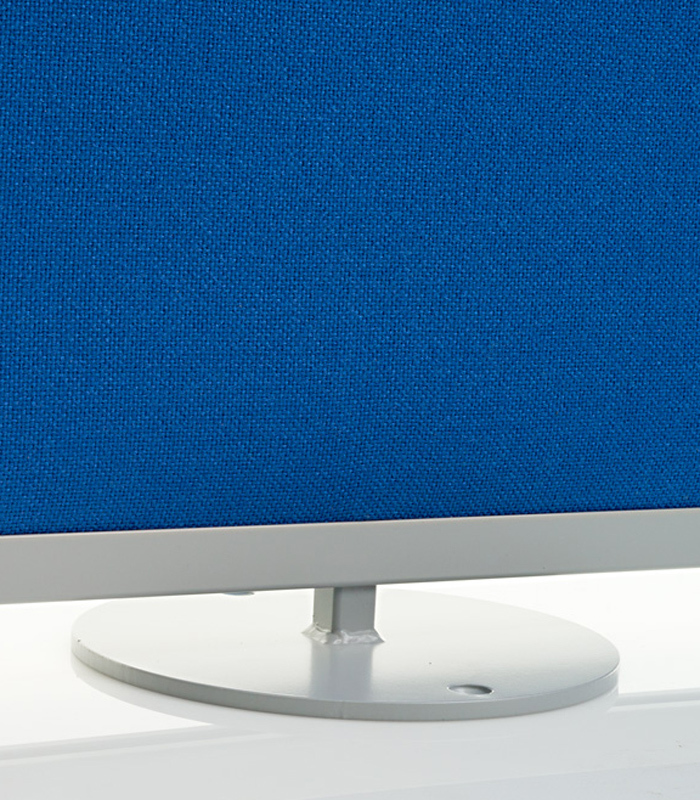 We specialise in tailor-made office screens and our office screen accessories allow us to do that. It is quite common for offices to adopt office screens and more and more businesses are. These stands and screens allow the office to be broken up, either making it departmental or to make it more uniform, and with the help of our high quality and reasonably-priced office screen accessories, the screens can become even more flexible. Making the most of the space you have is paramount to having an efficient and productive organisation and, here at Rap, that is what we aim to help you achieve. Our office screen accessories are just as important as our screens themselves, and compliment their usage to enable businesses to get the best out of each screen that they invest in. Because we manufacturer everything in-house at our headquarters in Peterborough, we are able to keep our costs low and competitive which allows us to offer our trade prices to each business. This means you can invest in a long-lasting product that is practical, yet affordable. This also enables us to excel in a quick turnaround too, so regardless of your specific requirements, be it a screen or an accessory, we can efficiently create the perfect product for you in a time you find convenient. Our office screen accessories host everything you need to upgrade and enhance your office screens and room dividers. All of the accessories are manufactured with high-quality materials which ensures they will support your product for many years to come. Each accessory is compatible with a select number of products, so be sure to check that they support your system before ordering. All the office screen accessories follow the same design as the products they are made for, which means they can be quickly and easily integrated with your product. The office screens and their accessories are manufactured at our site in Peterborough, Cambridgeshire and each is checked before it is dispatched to ensure they are compatible with the product. For further information on what the office screen accessories can be used for and which products they are compatible with, please have a look at the individual item pages. If you are unsure if a certain accessory will be compatible with your product or an idea that you have in mind, then please get it contact with our team of advisors who can provide further information. To reach them please call 01733 394941 or send an e-mail to [email protected].